Cassandra Clare just dropped some amazing news at her City of Heavenly Fire event in Newcastle. How excited are you for this Simon goodness? Sound off (spoiler-free) in the comments! Sounds good, can we get one for all of them. I would like to read more about Alec, Isabelle or Maia too. I would LOVE to read more about Alec. Cassie actually told me that at her signing in West Chester, PA because I brought up Maureen and her “City of Simon” request from the NYC signing. Cool that it’s been publicly announced. City of Simon. Maureen will be so happy. Spoiler alert! Maureen is dead, Maia killed her so unfortunately she will not enjoy City of Simon..
Eeeekkkkk By the Angel! Another Bane Chronicles but Simon! Hope that they’ll turn it into a one book with all the short stories together like the bane chronicles! If anyone of you guys like to check out my new website @ http://www.amagicalmultifandom.weebly.com please do! It’s a Multifandom website updating on new film adaptions, books, reviews, suggests, new stills etc. Now this is awesome! In fact, I believe it’s worth a squeeeeeee!!!!! I love Simon and Izzy. I wonder if it’s pre MI or post. Can’t wait! the way she was talking about how she was gonna make some after CoG made me wonder. Also im happy to say that my school is doing a cosplay theme for mufti day and 3 or my friends and me are going as the one and only species of…SHADOWHUNTERS/NEPHILIM. They’re talking about Simon. But isn’t that Alec in the picture? No the picture of half of the cover of City of Fallen Angels, which has Clary and Simon on it. YES. YES. YES. OH MY GOODNESS, YES. 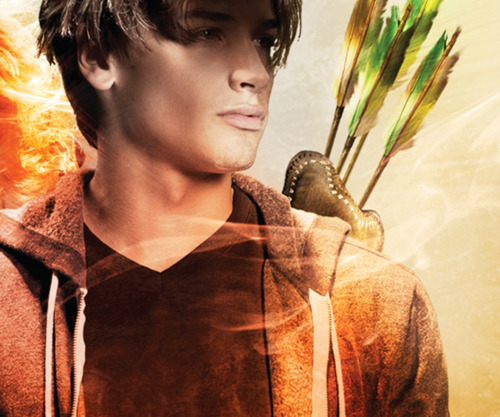 Oppps Alec is the one with the bow and arrows, not Simon. Wrong picture. I love the idea of stories about Simon. I understand why stories such as Simon Ascending (like Sophie in CP2) and him getting more memories back weren’t in CoHF, because it wouldn’t have made a lot of sense. Also this will be a really nice filler between now and TDA. There are five years between CoHF and TDA, so if Simon’s stories cover most or all of those years then we should be fully caught up in the Shadowhunter world by the time TDA comes out. Is it like in a book somewhere where I can buy the short stories?! cuz I LOVE Simon! And if so they are definitely at the tip of my Christmas list!